Polyacrylamide is widely used in recent years, not only in sewage treatment, petrochemical, paper, coal washing, construction industry and also many other aspects as mining reagent, such as phosphate, iron ore of the flotation and tailings water treatment, coal washing coal flocculation and water treatment. That's way it has a reputation said as over one hundred industry additives. 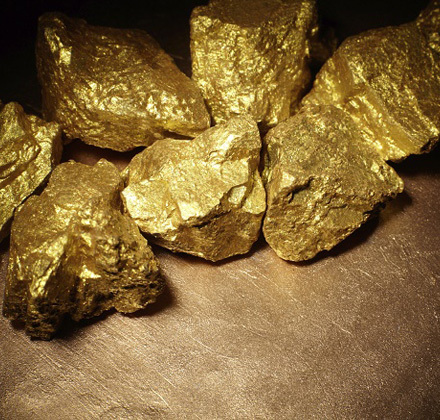 Under normal circumstances, gold ore dressing can be divided into two kinds of gravity dressing and flotation. And usually with flotation most! If the gold ore embedded cloth relatively thick, the use of gravity dressing recovery indicators is good. Recycling of gold mining equipment is mainly shaker and centrifugal concentrator. While occurred in quartz or pyrite in the fine-grained gold, the use of flotation method, the recovery index is better. In this application the mineral need to be grinded to 80 -200 mesh, together with xanthate, black medicine for the commonly used collector, and pine oil for the foaming agent. In short, the specific mineral processing techniques and pharmaceuticals are based on the nature of the specific ore to be. Rough election is just the first flotation machine flotation and bubble through rough election is the concentrate. The bubble then going to the flotation is called selection and the remaining minerals not floated up to bubbles will go back to rough election. This later process is scavenging which will generally choose two or three times, the middle of the order to return to last unit, the formation of a closed-circuit process. Gold ore after the operation of the pulp after two grading will flow into the dense machine thickener. Sometimes due to changes in the nature of the ore lead to pulp in the thick machine is difficult to settle, thick machine running muddy. Thick machine running muddy so that the carbon leaching system slurry fineness is not up to standard, especially the fineness, tail residue grade exceeded, seriously affecting the production. Generally add to the thickener gold flotation special polyacrylamide flocculants, it can not only speed up the slurry settling, but also make its slurry precipitation clear.